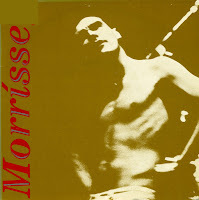 'Everyday is like Sunday' was the second single taken from Morrissey's debut solo album 'Viva hate'. The previous single, 'Suedehead', reached number 5 in the UK singles chart, and this one did almost just as well, peaking at number 9. In the Netherlands, both singles didn't make the Top 40. Morrissey has been quoted as saying that there is 'something strangely depressing about a seaside town out-of-season'. Chrissie Hynde from the Pretenders has showered praise on this song, saying 'the lyric to 'Everyday is like Sunday' is, to me, a masterful piece of prose'. Steven Patrick Morrissey, known as Morrissey, was born on May 22, 1959. After playing with the punk rock band the Nosebleeds in the late Seventies, he became singer and songwriter in the alternative rock band the Smiths. After that band broke up in 1987, Morrissey embarked on a solo career. Only six months after the Smiths broke up, Morrissey released his debut solo album 'Viva hate'. 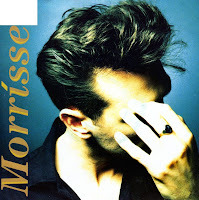 'Suedehead' was the first single drawn from this album, an uptempo, very Smiths-sounding single. It was played endlessly on some radio stations, which is how I eventually got into this song. And when I found it at discount price, of course I bought it.